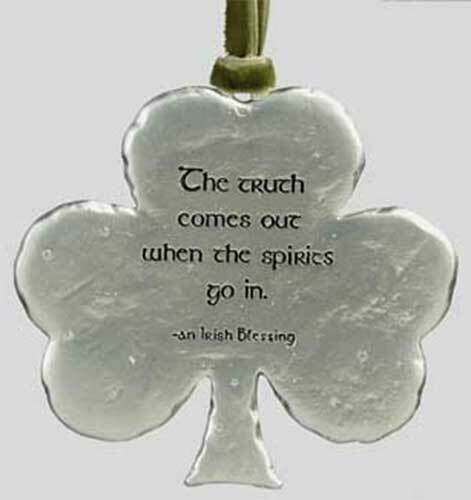 Shamrock Christmas ornament is a pewter design with an Irish blessing. This Irish Christmas ornament is a shamrock shaped pewter design that features an embossed Irish blessing. The shamrock ornament measures 3" wide x 3" tall and it is ready to hang on your tree with the included ribbon.